Bee Parks and the Hornets perform high-energy concert parties that combine rockin’ music, puppetry and audience participation to inspire young people to get up and move — both with their feet and in their communities. With all-original songs that promote kindness, equality, self-confidence, social justice, environmental awareness and dancing your heart out, Bee Parks and the Hornets take audience members of all ages on a musical adventure that will open up spirits and imaginations. *Our debut EP, Bee Yourself, is now on Spotify, iTunes, Amazon Music, and all other digital platforms where music is streamed and downloaded! Bee sure to add us to your playlists. *We are now booking for the 2019-20 and 2020-21 seasons! 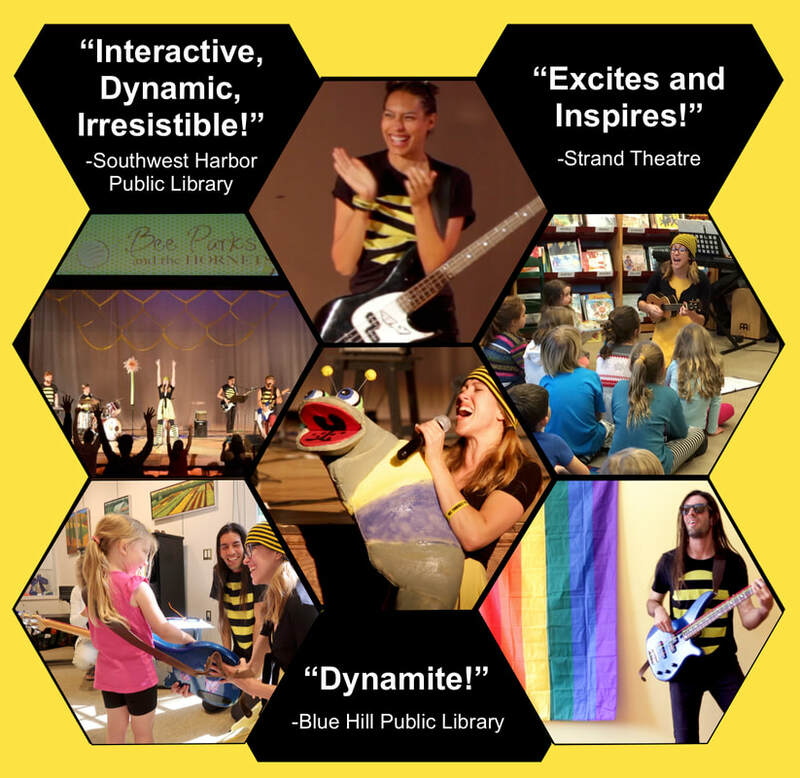 Would you like the bees to perform at your theater/library/outdoor concert/school/house party? Visit the Contact page to find out more! ​*Don't forget to follow us on Facebook and Instagram for all of the latest updates from our hive!